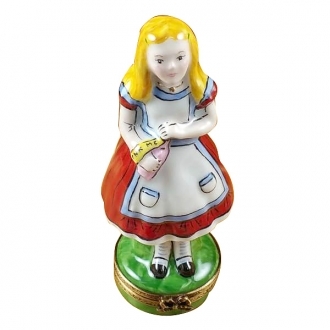 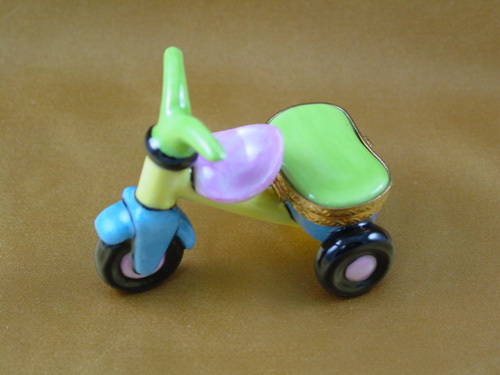 Tricycle - Limoges Boxes and Figurines - Limoges Factory Co.
A tricycle holds an important role in a child's life. 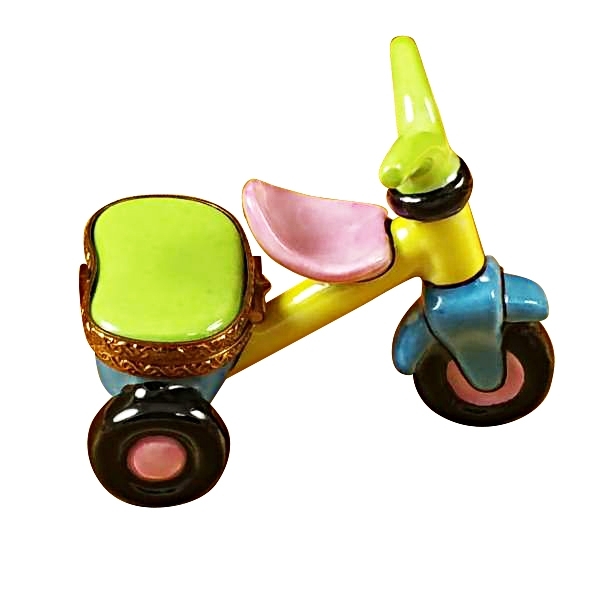 He/she loves it in any form. 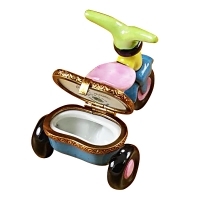 This is a Limoges box, which is artistically shaped to look like a tricycle. 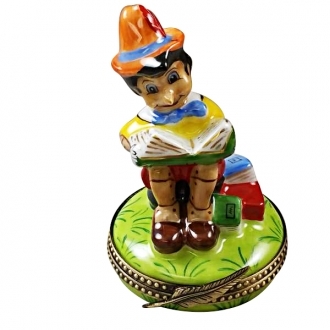 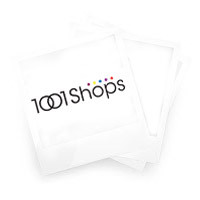 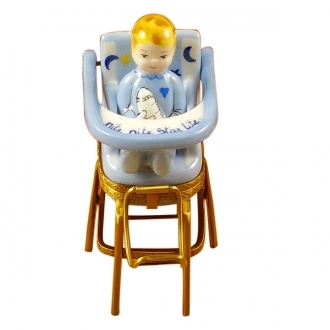 This is a multicolored creation that will look extremely decorative in a nursery or on your child's study table. 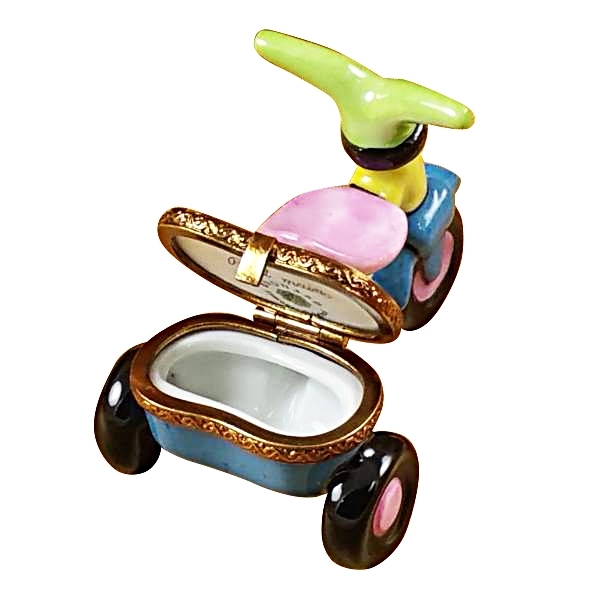 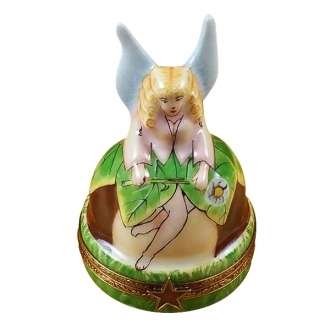 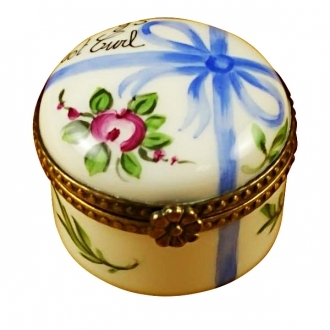 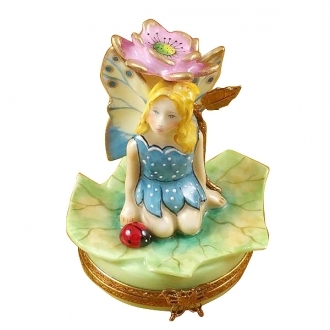 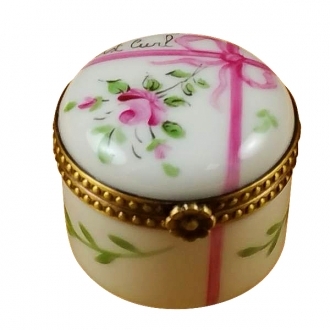 The seat of the tricycle is cleverly fashioned to form a small Limoges trinket box. 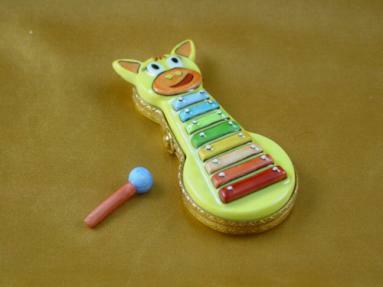 Measurements: 2,75" х 1,5" х 2"